Es Baluard joins the campaign of bookcrossing that involves centers and museums around the world, which will release thousand books of different disciplines with the intention of flooding the cities with the reading tool for excellence. This is the ninth consecutive year that the museum is involved in this program, which is part of the World Book Day activities. 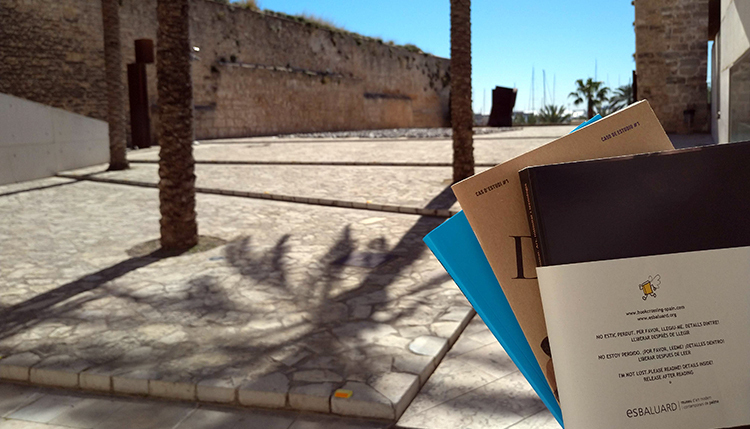 This campaign aims the readers to collect the books that can be found on the Cultural Complex of Es Baluard on the 23rd April between 11 am to 1 pm to read it, and then place them in another location. All books released are accredited with a label, contain the instructions to facilitate the reader’s participation in the campaign and are registered in the web www.bookcrossing-spain.com, where readers can tell where have they place the book. The aim of this initiative is that museums, libraries and other centers help to promote reading and, more specifically, the dissemination of information of the different cultural disciplines. In addition, the museum shop will offer discounts during April 23. From 10 am to 8 pm, it will be applied a 10% off in all its books, except those for museum publications that already have a discount applied.